Harlo, how's your week so far? Mine wasn't that bad but hey World cup is getting really close! have you got your MCs ready? lol I bet many of you will need them! 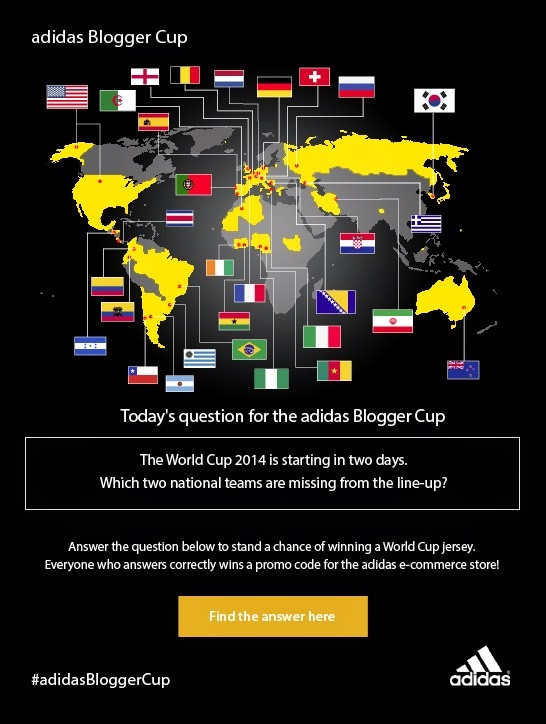 Okay without further crap talk, here's the 4th question for you to stand a chance to win something awesome from Adidas! Go go GO!!! *Click photo for hint! By the way, heard that the promo code for question one is out! An email will be sent to the readers. And ONE lucky reader will be selected to receive a special prize too!